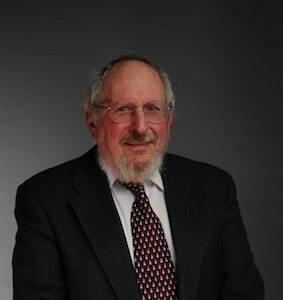 For nearly 40 years, Jeffrey Dorman has combined experience as a trial lawyer with academic and professional training in econometrics, mathematics, and computer programming to create excellent results in complex litigation. Prior to joining Stoltmann Law Offices, Jeff was a partner at the “litigation powerhouse” Freeborn & Peters. At Freeborn, Jeff specialized in: creation of quantitative evidence based on statistical, mathematical and accounting models; creation of software to estimate expected value of litigation and potential litigation risk; antitrust litigation, and complex civil litigation. Jeff spent much of his career at one of the world’s largest law firms defending complex class actions and antitrust litigation. Jeff was a partner at Sonnenschen Nath & Rosenthal (now SNR Dentons) until 2000 where his areas of specialization included antitrust litigation and counseling; creation of statistical and mathematical models for use in litigation; creation of software to evaluate litigation risk and potential recovery; tax controversy litigation; and class action litigation. His Fortune 100 clients have included: The Boeing Company; Frito-Lay Inc.; Sears, Roebuck & Co.; and Ethyl Corp. He has been recognized by Leading Lawyers Network as a “Leading Lawyer in Antitrust Law and Commercial Litigation” and has received a Superior Achievement Award as an antitrust attorney for the United States Department of Justice. Since leaving large law firm practice Jeff has focused on appellate brief writing and guiding complex litigation strategy. Jeff has collaborated with expert witnesses to create damage models that are easily explained to a judge or jury and maximize potential recovery. Besides damage estimates, Jeff has designed numerous statistical studies to prove facts critical to the liability phases of litigation. Jeff’s models are specifically designed to withstand cross-examination, meet Daubert standards, and comply with applicable rules of evidence.Jeff has also written computer programs to estimate litigation risk and potential recovery. His software has been used by clients to negotiate settlements and to quantify contingent liabilities for reporting and accounting purposes. Jeff lives in Chicago with his wife, son, and two dogs. Jeff enjoys the outdoors and has climbed the summit of Mount Everest. Jeff, graduated from University of Michigan, B.A., with distinction, 1971; University of Wisconsin-Madison, M.S., 1976 Case Western Reserve University, J.D., 1974.